«Izvestiya Irkutskogo gosudarstvennogo universiteta». 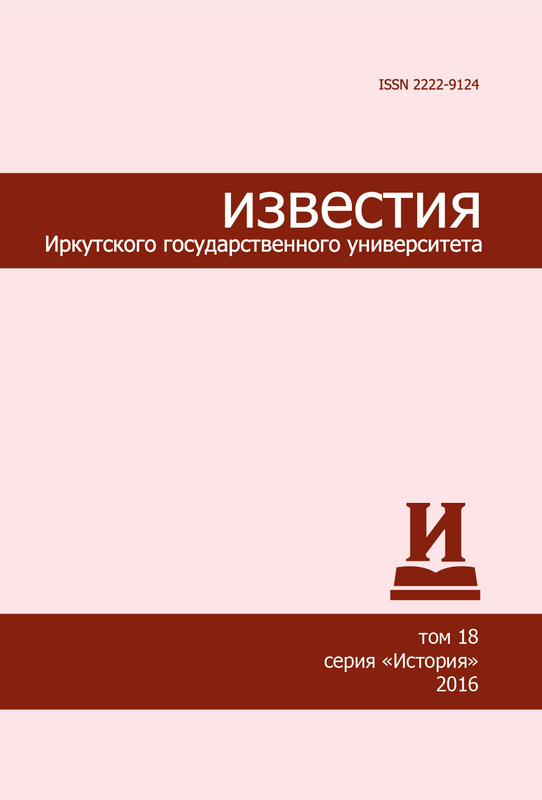 Seriya «Istoriya» («The Bulletin of Irkutsk State University». Series «History») publishes articles in methodology, Russian and world history, source studies and historiography of Russian and foreign authors, memoirs, reviews, reports on scientific life of the region. The periodical publishes debatable materials therefore its content does not necessarily reflect the views of the editorial board. Series issue, addressed to scientists, postgraduate students and students, is coordinated by the Academic Council of Historical Faculty of ISU. Series «History» are published quarterly on the websites of the journal website and the Scientific Electronic Library eLIBRARY.RU, the full texts of all articles are in open access. Series was founded in 2011. Certificate of registration PI № FS77-66907 on August 22, 2016 was issued by the Federal Service for Supervision of Communications, Information Technology, and Mass Media (Roskomnadzor). 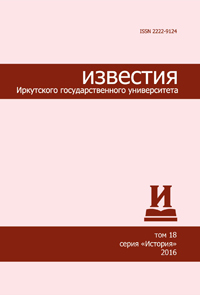 By the decision of the Higher Attestation Commission of the Ministry of Education and Science of the Russian Federation the series «History» is included in the List of Russian peer-reviewed journals where major research results of dissertations for the degrees of doctor and candidate of sciences should be published. The journal is included in the specialized reference bibliographic service CrossRef. Starting from volume 24 2018, each article is assigned a DOI (digital object identifier).